Spring Green, WI, - The 600-acre Taliesin Estate, which contains Frank Lloyd Wright’s iconic home, is once again awakening from hibernation to welcome tourists. Wright is considered one of the most influential architects of the 20thcentury, and his personal estate attracts fans the world over eager to explore the root of his genius. The full tour season begins May 1st and the National Historic site will be open every day through October 31st. Taliesin (tal-ee-EH-sin) was built in 1911 in a rural valley originally inhabited by Wright’s maternal ancestors. Wright spent much of his youth there and would later leave Chicago, return to the area and devote nearly fifty years of his life to developing a community infused with beauty, art, vitality and architecture. Today, these attributes are still intact and efforts to preserve and restore the estate, while educating the public about the life and work of the architect, are ongoing. The Taliesin estate features five Wright-designed structures spanning many decades of Wright’s career. The size and historical scope of the Taliesin Estate are such that Taliesin Preservation, Inc. (TPI) offers eight different tour options to the public during the regular season. Tours are offered every day and include the Hillside School Tour (1 hour), House Tour (2 hours), Highlights Tour (2 hours) and Estate Tour (4 hours). Specialty tours are scheduled one Friday per month for those Wright enthusiasts eager to dig deeper into the multi-faceted layers of Taliesin - the Landscape Tour, Preservation Tour, Exploring Taliesin Tour and Loving Frank Tour. 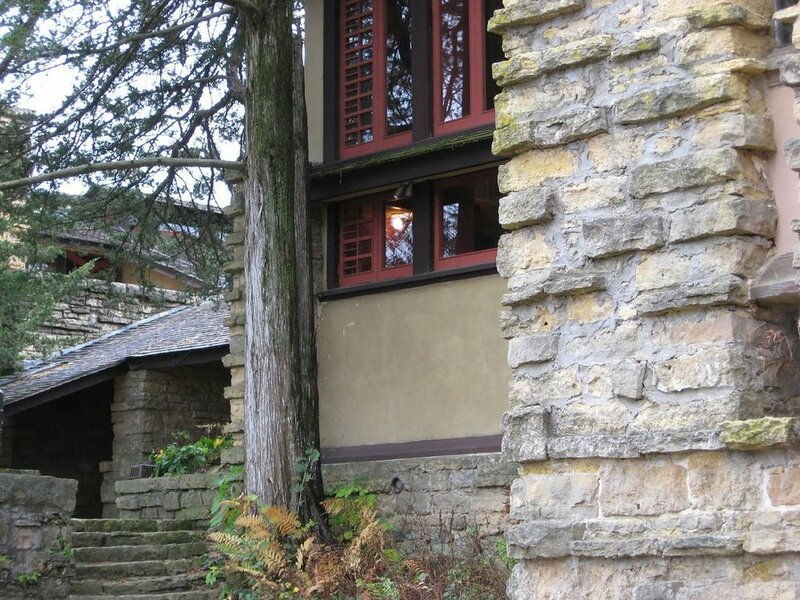 For tour descriptions, pricing and reservations, call 877-588-7900 or visit www.taliesinpreservation.org. TPI also offers a wide range of art and architectural outreach programs for youth and adults throughout the regular season. Call or visit our website for details. Advance reservations are strongly recommended for all tours. Walk-ins are welcome as space permits. Children under the age of 12 are only permitted on the Hillside School Tour. Group rates of 21 or more are available by advance reservation for the House and Hillside Tours. Accessible tours can be arranged with three weeks’ notice by special arrangement. Call for details. All tours begin at the Frank Lloyd Wright Visitor Center, located two miles south of Spring Green, Wisconsin, at the intersection of Hwy. 23 and Cty. Rd. C. Taliesin is one hour west of Madison, 2.5 hours west of Milwaukee, 3.5 hours from Chicago, and 5 hours from Minneapolis. About Taliesin Preservation, Inc.: Founded in 1992, TPI operates the Frank Lloyd Wright Visitor Center at Taliesin, which offers public access to the site and grounds, serves as an educational resource on Frank Lloyd Wright and his work, and conducts the preservation program to maintain, restore and nurture the physical environment of the Taliesin Estate in Spring Green, Wisconsin. In partnership with the Frank Lloyd Wright Foundation, Inc., based in Scottsdale, Ariz., it is the mission of Taliesin Preservation, Inc. to conserve the masterful buildings and landscape of the Taliesin Estate, and to educate the public on the man, the architect, the architecture, and his ideas.